Gaby taught math at Roosevelt Middle School in Glendale for 12 years before taking a long break from teaching to raise 3 kids with her husband, Andre. She taught all levels of middle school math and coordinated her school's AVID program. She obtained a Bachelor's of Science in Mathematics/Applied Science from UCLA, and also has her teaching credential and Master of Education from UCLA. "I love IVA's focus on deep thinking. Our math curriculum is so rich in problem solving, deep conceptual understanding, and mathematical communication, while still providing plenty of practice of essential math skills. As a new member of the staff, I have been so impressed with the deep commitment to working together as a group of educators to do what is best for the students. I'm so excited to be a part of this team!" Sarah Marsh teaches 8th grade Literature and Composition at IVA. Before staying home with her five (yes, five!) children, Mrs. Marsh taught in Paramount Unified as a 9th grade English teacher and curriculum specialist. During her hiatus from full-time teaching, she kept her foot in the door through teaching adult school, supervising student teachers, and substituting at IVA. She holds a California Clear Credential in English, and has a Masters in Education with a curriculum emphasis. "I'm glad to at last be a part of the IVA family. The commitment to raising good thinkers and, more importantly, good people has been a personal endeavor of mine; I've tried it out on my guinea pigs (also known as my children), and I'm eager to put it into practice in the IVA classrooms. There is so much to learn and do and investigate in this beautiful world of ours, and so much that we can easily miss if we're not paying attention. Curiosity, attentiveness, and carefulness make life so much richer, and I hope for rich lives for all the young people I encounter." Paul Burns holds a bachelor’s degree in biological sciences from UC Santa Barbara, a multiple subject and single subject science teaching credentials, and a master’s in educational technology and media leadership from Cal State Long Beach. While at CSULB, Mr. Burns was honored to be on the Dean’s list and presented and published research findings on student perceptions of S.T.E.M. and S.T.E.M. careers. Mr. Burns likes to practice chemistry in the kitchen, physics on a yoga mat, and biology in the garden. Roberta Denis, IVA's administrative assistant and a lifelong resident of Southern California, has spent her career in and around schools. She grew up in Monrovia, Calif., and earned a bachelor's in English and teaching credential from University of California, Los Angeles. She earned a master's degree in humanities from California State University, Dominguez Hills. Ms. Denis taught middle school in Whittier until she left full-time teaching to raise her three children with her husband. During that time, she worked as a substitute teacher, supervisor of teaching candidates, classroom and school volunteer, and art teacher. Ms. Flower is so excited to be teaching Literature and Composition as well as Physical Education this year! Ms. Flower graduated from Biola University with her BA in English and Secondary Education. She began her career in the Norwalk La Mirada School District as a middle and high school teacher where she gained experience in teaching English Literature & Composition, English as a Second Language, and intervention courses for students learning English as a second language. Prior to joining IVA’s staff, Ms. Flower had a wonderful experience teaching at Da Vinci Science High School in Hawthorne, CA where she taught English Literature as well as electives like Creative Writing and English Support to English Learners. Ms. Flower is presently working on a Masters in Teaching at Biola University where she is focusing on effective learning strategies for teachers to use with students who have learned English as a second language. Ms. Flower loves to be active and is excited to be teaching Physical Education for the first time. She accomplished an exciting goal when she ran the Long Beach half marathon a few years ago. One of her favorite sports to play is volleyball; she played volleyball in high school, as well as intramural volleyball in college. She has been a lifelong swimmer, spending four summers in Jr. Lifeguards in Huntington Beach as a teenager and swimming competitively in high school. Ms. Flower loves to read (of course! ), practice yoga, write, travel, spend time in the outdoors, take her dog, Gracie, for long walks, cook, and spend time with her family, friends, and housemates. "I was drawn to IVA because of the commitment to academic growth as well as character development through the intellectual virtues. I believe so strongly in the mission and vision of IVA. Students are encouraged to be curious about the world, to ask thought-provoking questions, and to continually wonder. It is a gift to work in such a life-giving community." Ms. Fountain holds a Single Subject Teaching Credential in Social Science from CSULB, as well as a Bachelor of Arts degree in Sociology and Urban Studies from San Francisco State University. In addition to her time at IVA, Ms Fountain has taught at Millikan High School (PEACE program), worked in a mentoring program at a continuation High School in LBUSD, taught ESL classes for recent immigrant students in a Long Beach elementary school, and worked as a K-12 substitute in LBUSD schools. Before becoming involved in the Long Beach education system, Ms. Fountain lived and worked in Nicaragua for two years in a community-driven non-profit that sought to reduce poverty and inequality through the creation of sustainable systems of employment and equal access to education for all children. She also lived in Big Sur, California for two years as a property caretaker for a native plant estate. Caitlin enjoys speaking Spanish, traveling, working with plants, being in nature, raising chickens, reading, and spending time with her friends, family, and husband, Jonatan. She is also looking forward to welcoming twins into her family this year. Before coming to IVA, Rachel Gordon taught for 13 years at Rosa Parks Elementary School in Lynwood, where she was originally placed by Teach for America. Always passionate about developing students as whole individuals, Ms. Gordon also coordinated and moderated the National Geographic Bee at Patric Henry Elementary School, directed enthusiastic school choruses of 50-100 students, coached for the Mathathon, piloted a nutrition education curriculum, started a school fruit and vegetable garden, and conducted student mock trials at Inglewood and Compton courthouses. She and her husband Mark have two children: Emery (6) and Miles (4). "After teaching in a traditional public school where success and failure were solely measured by test scores, I feel convicted that many students are missing out on learning what it takes to persist in unpredictable and complex lives. I want to examine the processes and challenges we go through, especially when they are difficult. Studying and teaching with an emphasis on experience and thinking motivates me because I am able to get to the core of what matters and what promotes life-long success. I look forward to learning through collaboration the elements of a meaningful education." 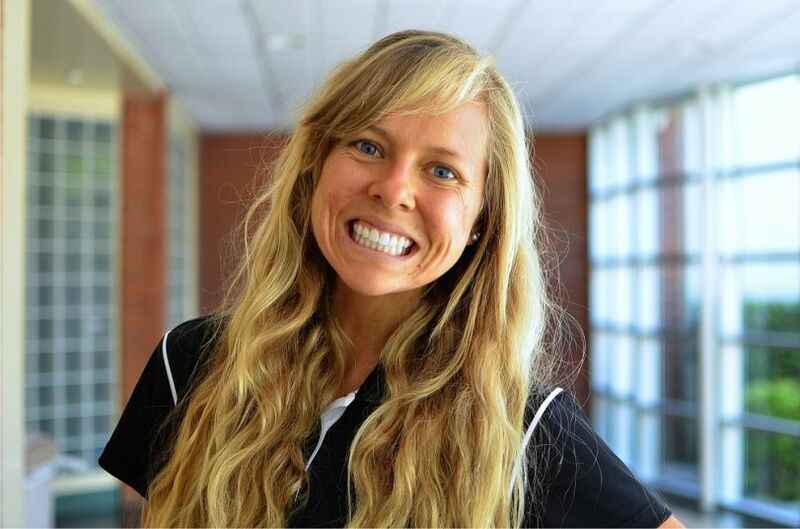 Jana Hughes is a graduate from Cal State Fullerton with a Bachelor's in Kinesiology and Single Subject Credentials in both Physical Education and Foundational Level Mathematics. While at CSUF, Ms. Hughes received the Outstanding Undergraduate in Kinesiology award and is a current member of California Alliance for Health, Physical Education, Recreation, and Dance (CAHPERD). She is a former high school cross country and track & field coach, lifeguard, and swim instructor. Ms. Hughes completed the 2016 Boston Marathon and continues to strive towards becoming a lifelong mover and thinker. "I was really drawn to IVA because of the unique way that it addresses learning within the students: it gives a realistic approach to teaching students holistically. I appreciate that the emphasis is on personal growth within the students, focusing on their process, rather than their outcome. I love being able to challenge students not only physically, but also intellectually, in the way that they see themselves as a 'mover,' and what that means as they transition from one grade to the next. It is a joy to be working with like-minded teachers who are all striving to impact our students in areas that will carry through the rest of their lives." Ian McCurry, IVA's English teacher, holds a master's in teaching from Azusa Pacific University. Prior to IVA, Mr. McCurry taught 2nd and 3rd grade at a private school in Downey, and 9th- and 10th-grade English/language arts at a Los Angeles charter school. Mr. McCurry has clear multiple subject and clear single subject English credentials. In 2013, McCurry presented on “Teaching for Intellectual Virtues in the English Classroom” at a summer conference at Loyola Marymount University, Los Angeles. "I was drawn to the mission of Intellectual Virtues Academy before the school was even properly formed. In a pedagogy seminar with 15 other educators at Loyola Marymount University, hosted by Dr. Jason Baehr and Dr. Steve Porter, I caught the vision that education really could be about more than memorization, speed, and high test scores. I was reminded that learning to think well is part of learning how to live well and be a healthy, thriving human being. The qualities of good thinking (curiosity, open-mindedness, humility, courage) cause human flourishing. Teachers, classrooms, and schools can be places that encourage students toward this type of thinking. Almost as soon as I found out there was going to be a school focused on intellectual virtues I was eager to be a part of it in any way possible." Cari Noble, IVA's math teacher, came to teaching after spending time at home raising three children. Her gradual entry into the profession included long-term substitute teaching positions in math classrooms at Newcomb Academy and Stanford Middle School. She also worked as an elementary science lab teacher at Newcomb Academy, during which time she developed curriculum for hands-on science lessons for grades K through 5. Ms. Noble has a multiple subject credential, foundational level math credential, and a foundational level science credential. She has taught for three years at IVA, in math and science classrooms. Kim comes to IVA with a background in International studies, Social Studies and sales marketing. She attended college in Seattle, where she met her wonderful husband. They are now happily rooted in Southern California, welcoming a baby soon! Her background in marketing has allowed her to develop leadership, collaboration, and critical thinking skills, which she believes are essential to being an effective teacher. She is committed to creating a supportive, trusting environment that cultivates a community of compassionate, accepting and critically-thinking global citizens. Her fascination for the world and different cultures, along with her Armenian heritage inspire her to travel, and appreciate family, community and varying perspectives. "I have a profound appreciation for the master virtues which IVA seeks to foster in its students. Social Science is a content area ideal for cultivating an intellectual virtue approach to learning. More specifically, the disciplinary practices inherent to Social Studies encompass curiosity through inquiry, thoroughness through corroboration, and open-mindedness through engagement with multiple accounts and perspectives. I strive to develop learners who question, embrace challenge, and deepen their understanding of the world and I feel fortunate that I am part of a school whose mission and vision align with this same philosophy of education."